This key chain alarm has a 130db alarm and a light. 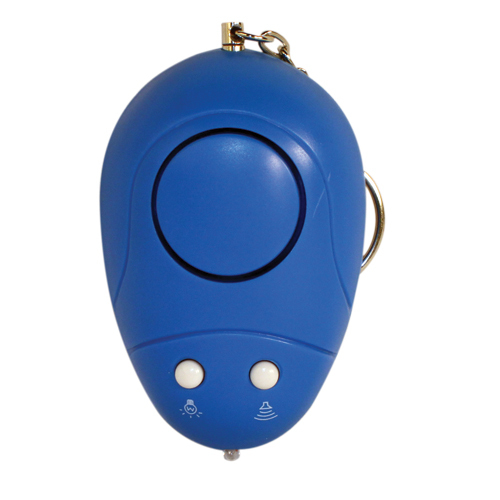 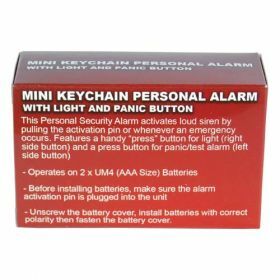 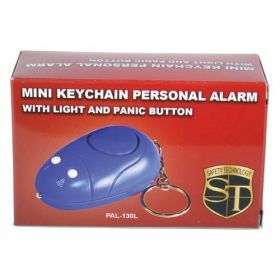 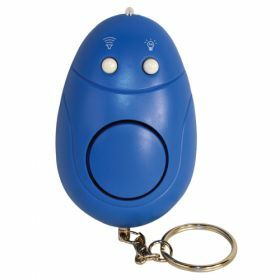 The alarm is activated when the pin attached to the keychain is pulled or by pressing the alarm button on the top of the unit. 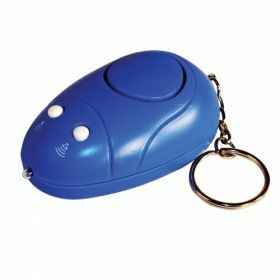 Can be used as a flashlight without activating the alarm to provide additional night time safety. 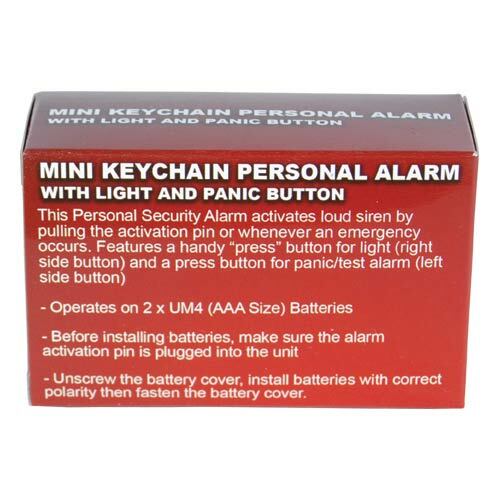 One 12 volt battery included.